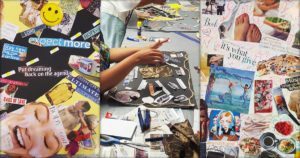 Join the Art Therapy Vision Board Workshop in Cape Town! A combination of colour, pictures, words and Art Therapy techniques to identify, explore and creatively set goals for 2019. Lay the foundations for the New Year! No art experience required. What do you want to achieve in your life and work? 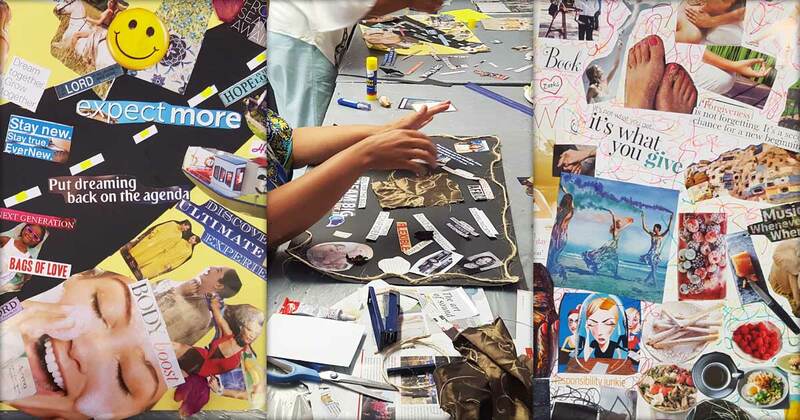 Following this there will be a voluntary sharing of vision boards in the group, whereby a more meaningful and deeper understanding of what you want to achieve can be explored in order to actually get there! Benefits: Accessing creativity, self-reflection, setting goals aids in gaining focus and direction, visualization, using imagination, motivation, fun, relaxation, mindfulness, being present. For some, using existing pictures may be less daunting than creating pictures from scratch. Please express your availability soonest as only 2 workshops dates/times will be run. This workshop may be facilitated in-house and adapted for existing groups / educators / teams / organizations / groups upon request at convenient times. 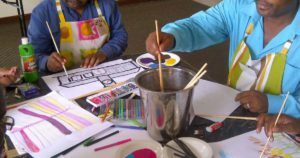 Art materials available include: collage, paper, paint, chalk, pastels, charcoal, glitter, rose petals, objects, ribbons, string, beads, stickers and much more. Your vision board will then become a powerful visual reminder of what you are working towards. When you surround yourself with visual symbols of who you want to become, what you want to have in your life and what you would like to attract, your life changes to match those throughts, images and desires. Groups: Space is limited per course so book early to avoid disappointment! Facilitator: Samantha Davis, internationally trained and registered Art Psychotherapist (HPCSA AT 0000469) with almost 20 years’ experience. 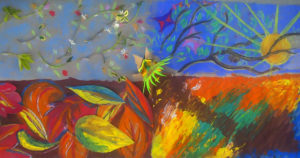 For more info on other upcoming Art Therapy courses, go here. 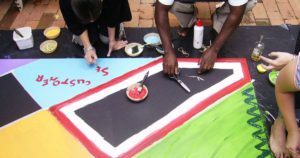 Click here to also find upcoming workshops on the Art Therapy South Africa Facebook page. 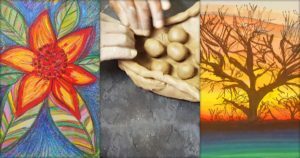 Click here to sign up to receive newsletters from Art Therapy regarding future courses, workshops and retreats! Bookings are subject to Terms and Conditions. Please explain why you would like to participate in this course? Questions / queries / requested dates/times (if applicable)? 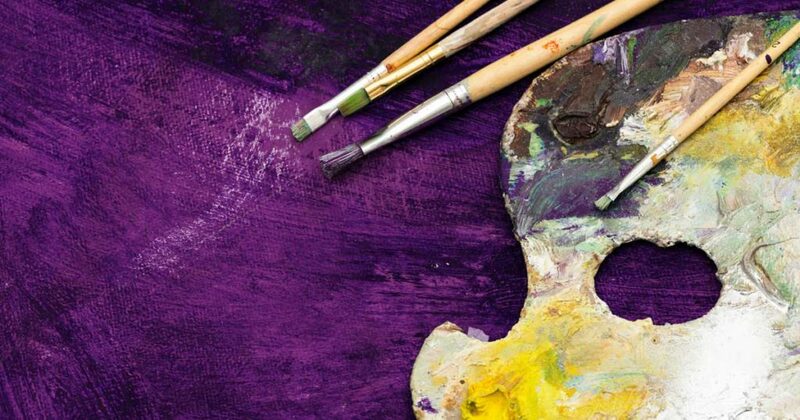 This one-day course is aimed at introducing you to the dynamic and exciting process of Art Therapy and how it can be applied to adults and children of all ages. An exciting combination of learning, experiential art-making and questions and answers in a group environment. No art experience required! 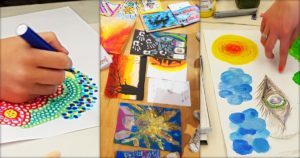 An introduction to the process of Art Therapy including theory, case studies, experiential art making, exploration, sharing daily plus journaling. Less intense, lighter, shorter and cheaper than the 5-Day Intensive Course. 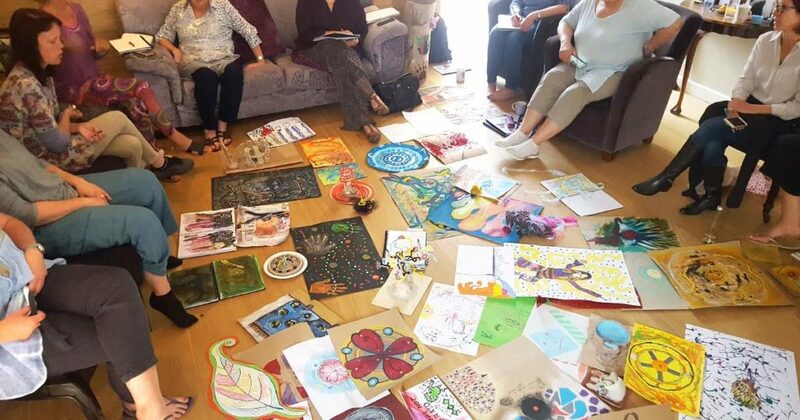 A dynamic combination of psychodynamic and Art Therapy theory, case studies, experiential art making, journaling and reflection within a psychodynamic group environment. Beneficial for both personal and professional growth. Includes comprehensive course manual and journal. A Mandala is a Sanskrit word for a ‘sacred’ or ‘magic circle’. 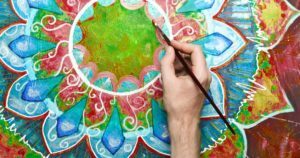 Mandalas have been used for centuries in meditative and creative practices. 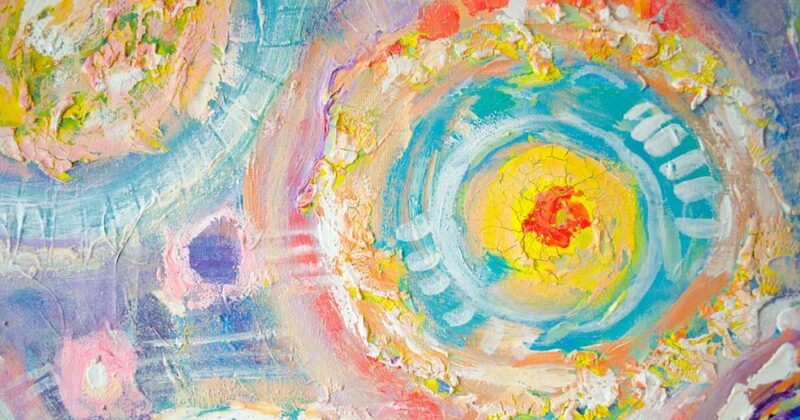 This half day workshop is designed to help you relax and unwind and get into a space of being in the present moment through art, visualization, letting go in order to access a spontaneous, innate creative place within yourself. A real treat! A combination of colour, pictures, words and Art Therapy techniques to identify, explore and creatively set goals for 2018. Lay the foundations for the New Year! No art experience required. 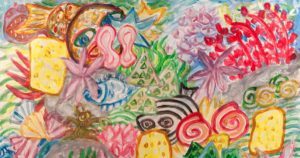 Join the 1-Day Art Therapy & Mindfulness Workshop to explore and experience the art of being present! 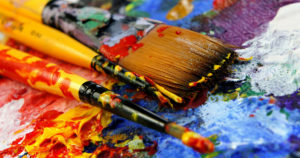 Tap into your innate creativity, with a focus on being in the moment, accessing joy, insight, wellness, gratitude, playfulness and having fun through art. No art experience required. 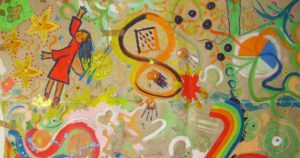 A hands-on experiential art making workshop and exploring of images within a group format, whilst introducing basic Art Therapy theoretical ''concepts''. 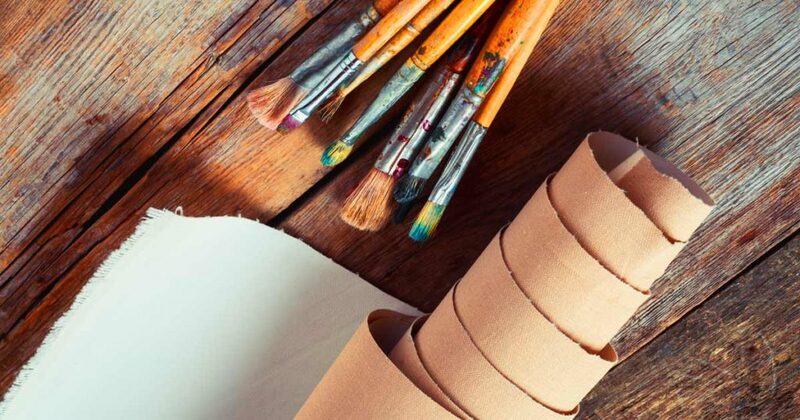 Various art materials are used as a means of self-expression and communication. Wondering what to do for your end-of-year function in Cape Town? 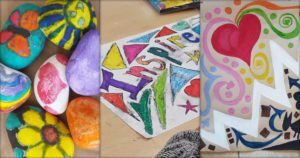 Try something different - choose creativity and finish 2018 with an Art Therapy Creative Year-End Workshop. Funky, unique, innovative, relaxing and fun - no art skill required. Book yours today! Tailor-made for organisations and corporate settings! 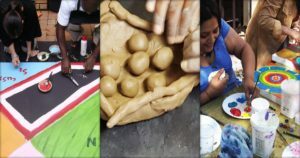 Various creative interventions available, which encompass a uniquely developed and researched methodology utilizing practical, creative and experiential learning rather than the traditional 'learning from lecture and notes' approach.